I had posted about this before, but I was in Barney's in Beverly Hills the other day and saw that the vaunted Bell Jars were there, for $290. I still don't know if they've migrated to every Barney's or just the larger ones (BH actually redid the first basement level into a whole realm of paint and fumes) but while I am glad that I don't have to ration (although $290 isn't exactly "spray liberally" territory considering my finances) it does take away some of the thrill of the chase. 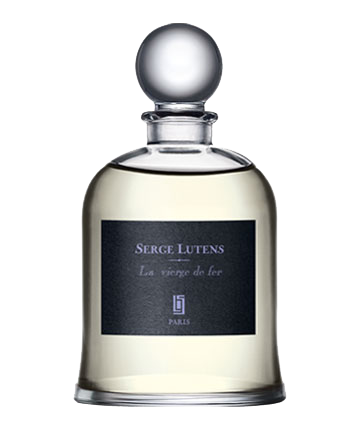 Back in the heady early days of my discovery of Serge Lutens and the discovery that I seriously lusted after several of his scents, he had a two-tier system: release something in the square bottles that were sold outside of Paris, and the Bell Jars were exclusive to the Paris Salon. If you lived in the EU you could order of course and there were people who were willing to part with semi-filled bottles on eBay, usually for about the price of a high-mileage Pinto. It always seemed to me that the non-exclusives were just a bit blander. That they were (dare I write it?) That they were a bot watered down. The big stuff, the ones that made you go "whoaaaah" or sometimes "yikes" were reserved for Paris. Of course you could get decants, but if you wanted the experience of your own neatly wrapped Bell Jar and wasn't going to Europe (and didn't live there) hoops had to be jumped. The fist Bell Jar I acquired was via a friend. He lives in New York, and was going to visit his parents who live in Switzerland. He offered to carry back and mail my bottle of Chêne if I would let his mother have anything they might shove extra into the package. I ordered online, it arrived in Switzerland and according to my friend, shove they did. They also sent a very sweet and Gallic note thanking me for purchasing. I still have the bottle. The second one was pure blackmail. A dear friend completely spaced my birthday and was terribly apologetic about it when she remembered weeks later. she asked how she could make it up to me. I knew that she was attending a wedding that would be in the south of France and would be in Paris for a few days. I told her that she would make my year if she could stop in the Palais and buy me a bottle of Muscs Kublai Khan, and that could be my present for two birthdays and Christmas. She hemmed and hawed, since she would have her mother and then 6-year old nephew in tow, but she eventually produced the bottle after telling me what a trial it was. About a year later, I was in New York visiting her and at her request got something for her out of her bedroom. On the vanity were to little black boxes containing Bell Jars of her own. I had to laugh. That and applaud her choices. That, and wonder what her mother's nightstand carried. The nephew I'm sure didn't indulge. In any case, the Palais only deal started to fade when "special editions" started appearing at Barneys in the square bottles. Then Berdgorfs received some of the Bell Jars, Then Barneys in New York got the full line, and now Beverly Hills. Like I wrote, I'm happy that I don't have to ration that bottle of Chêne like I was rationing Perrier in Death Valley. But I hate to admit it, the thrill of the hunt is gone. As well as the admitted snob appeal of telling someone who compliments you on your scent that it's only available in Paris. Even if you admit (as I always do) that I rely on the kindness of friends to supply it. I want some of those special edition bell jars...especially Sarrasins!